Home ✈ Blog Archive ✈ Be our intern! ODLCO is a design studio that explores manufacturing as a meeting point between design, consumption, craft, industrialism, usefulness, and everyday life. We stage events that explore these themes, manufacture goods by independent designers, and carry a selection of design merchandise for purchase. We specialize in low-volume manufacturing, utilizing regional resources to produce niche products, such as the Wabi Nabe Cast Iron Pot, Trivet Runner, and the Capitol Butter Dish. Explore this website to see more of what we do. 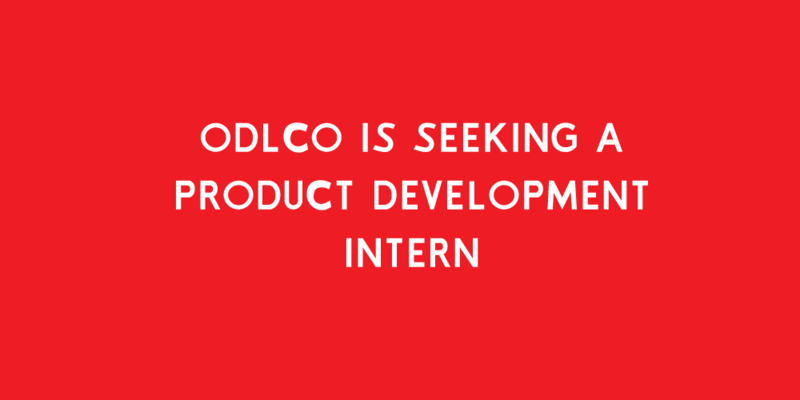 We are currently seeking a Product Development Intern to assist with tasks related to product development, manufacturing, and distribution. This ideal candidate should be a Junior, Senior or recent graduate with an interest in design manufacturing and background in fabrication, Industrial Design or Mechanical Engineering. This internship is a non-paying position. Start date is June 1, 2013. The duration of the internship is flexible. Intern will come in 1-2 days per week. Candidates please send a cover letter, resume (including availability), and portfolio to mail@odlco.com by May 15, 2013.